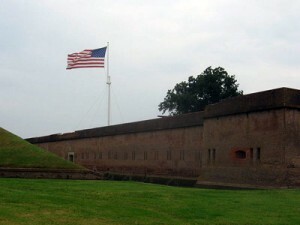 Constructed from 1827 to 1847, in part under the supervision of Robert E. Lee, the fort was designed to protect the city of Savannah. Seized by the Georgia state troopers at the on-set of hostilities leading to the Civil War, the fort was attacked by Union forces on April 11-12, 1862. That battle changed for ever the construction of forts. Union forces successfully breached the 7.5 foot walls, using rifled artillery in only 30 hours of bombardment. 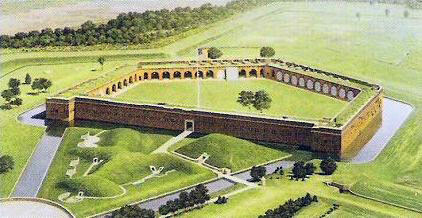 By the turn of the 20th century, the fort began to fall into disrepair. 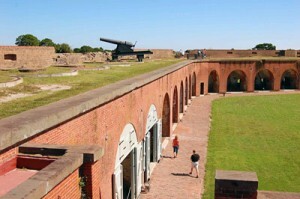 On October 15, 1924, the War Department declared Fort Pulaski a National Monument by presidential proclamation of Calvin Coolidge. The monument was transferred from the War Department to the National Park Service on August 10, 1933.